Section 1.01. Name. 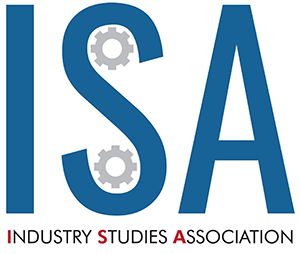 The name of the corporation is “Industry Studies Association” (“ISA”). Section 2.01. Registered Office. The registered office of ISA in the Commonwealth of Pennsylvania is University of Pittsburgh, 230 South Bouquet Street, Pittsburgh, Pennsylvania 15260 or as the Board of Directors ( the “board”) may, from time to time, designate. Section 2.02. Fiscal Year. The fiscal year of ISA shall end on June 30 of each year, or on such other date as may be fixed by resolution of the board. Section 3.01. Purposes. The purposes for which ISA is formed are exclusively charitable, scientific or educational within the meaning of § 501(c)(3) of the Internal Revenue Code of 1986, as amended (the “Code”), including, without limitation, all purposes, powers and privileges conferred upon the corporation by the Pennsylvania Nonprofit Corporation Law of 1988, 15 Pa.C.S.A, §§ 5101 through 5989, as amended, as well as the more specific purpose of furthering the development of Industry Studies scholarship. Section 3.02. Exempt Organization; Earnings; Dissolution. A. No substantial part of the activities of ISA shall be the carrying on of propaganda or otherwise attempting to influence legislation, and ISA shall not participate in or intervene in (including the publishing or distribution of statements) any political campaign on behalf of any candidate for public office. B. No part of the net earnings of ISA shall inure to the benefit of or be distributable to its directors, officers or other private persons, except that ISA shall be authorized and empowered to pay reasonable compensation for services rendered and to make payments and distributions in furtherance of the purposes set forth herein. C. Notwithstanding any other provisions set forth herein, ISA shall not carry on any other activities not permitted to be carried on (i) by a corporation exempt from Federal Income Tax under § 501(c)(3) of the Code, or corresponding provisions of any subsequent Federal tax laws, or (ii) by a corporation contributions to which are deductible for Federal income tax purposes. D. Upon the dissolution, liquidation or termination of ISA, no assets shall be distributed to its directors or officers or any other private persons. In the event of the corporation’s dissolution, the board shall, after paying or making provision for the payment of all corporate liabilities and after provision is made for the disposition of any property committed to charitable purposes, transfer and convey the remaining assets to another charitable organization consistent with ISA’s charitable mission provided, however, that such organization shall qualify within the meaning of § 501(c)(3) of the Code or corresponding provisions of any subsequent Federal tax law. Section 4.01. Members. ISA shall be a membership organization, with two initial classes of members. The board shall retain the right to establish additional classes of members as it may, from time to time and in its discretion, determine to be in the best interests of ISA. Section 4.02. Classes. The two initial classes of members shall be Regular and Student. Student members shall have no vote. Section 4.03. Dues. The board shall set the schedule for annual membership dues. Section 4.04. Annual Meeting. The members shall hold an annual meeting at such time and place as the board may determine. Section 4.05. Special Meeting. Special meetings of the members may be called at any time by the board, or at the request of members entitled to cast at least ten percent (10%) of all votes. Notice of a special meeting shall be given to all members by e-mail or by mail. The notice shall state the time and place of the meeting and the matter for consideration. Section 5.01. Authority. The business and affairs of ISA shall be managed by its board. Section 5.02. Number and Term of Office. The initial board shall consist of not more than seven directors, of whom three initial directors shall serve for a term of one year and four initial directors shall serve for a term of two years. Thereafter, all directors shall serve for a term of two years and until a successor is qualified and takes office. The board may enlarge its membership and add ex officio members with or without vote as it may from time to time determine. Section 5.03. Resignations. Any director may resign at any time by giving written notice to the President or the Secretary. Such resignation shall take effect upon receipt of the notice or at a later specified time. Unless otherwise directed, no formal acceptance of the resignation is required. Section 5.04. Vacancies. Any vacancy or vacancies in the board because of death, resignation, removal, disqualification, an increase in the number of directors, or any other cause, may be filled by the President at any regular or special meeting. Each person so appointed shall be a director to serve for the balance of the unexpired term and until a successor is qualified and takes office. Section 5.05. Time and Place of Meeting. Regular meetings of the board may be held at such time and place as the board may determine. Notice of regular meetings need not be given unless otherwise required by statute or these bylaws. Section 5.06. Annual Meeting. The annual meeting of the board shall be held at such time as the board shall determine. Section 5.07. Special Meetings. Special meetings of the board shall be held at the call of the President or two or more directors. Notice of a special meeting shall be given to each director by e-mail or telephone or in writing at least seventy-two hours before the date of the meeting if by telephone or e-mail, or seven days before the date of the meeting if by mail or as the board may determine. The notice shall state the time and place of the meeting and the matter for consideration. Section 5.08. Quorum, Manner of Acting, and Adjournment. A majority of the directors entitled to vote shall constitute a quorum for the transaction of business. Every director shall be entitled to one vote. Except as otherwise provided by statute or these bylaws, the acts of the directors present at a meeting shall be the acts of the full board. In the absence of a quorum, the directors present and voting may adjourn the meeting until a quorum is present. The directors shall act only as a board. Individual directors shall have no power as such, except that any action that may be taken at a meeting of the directors may be taken without a meeting, if consent in writing setting forth the action taken shall be signed by all of the directors in office and shall be filed with the Secretary. Section 5.09. Conflict of Interest. The board shall adopt a Conflict of Interest Policy that shall be reviewed and approved annually. A Conflict of Interest Questionnaire shall be completed annually by each director and an acknowledgment executed. All conflict of interest documents shall be retained with ISA’s corporate documents and shall be made available upon request. Section 5.10. Document Retention Policy. The board shall adopt a Document Retention Policy that shall be reviewed and approved annually. The policy shall be retained with ISA’s corporate records and shall be made available upon request. Section 5.11. Whistleblower Policy. The board shall adopt a Whistleblower Policy that shall be reviewed and approved annually. The policy shall be retained with ISA’s corporate records and shall be made available upon request. Section 5.12. Compensation. No compensation shall be paid to any director for his or her services as a director. The board in its discretion, however, may authorize reimbursement for directors for travel and actual expenses necessarily incurred in attending meetings and performing other duties on behalf of the corporation. Section 5.13. Conference Telephone Meetings. One or more persons may participate in any meeting of the board or a committee by means of a conference telephone call or similar communications equipment wherein all participants can hear each other. Participation in a meeting pursuant to this section shall constitute presence in person at such meeting. Section 6.01. Standard of Care. Each director shall stand in a fiduciary relation to the corporation and shall perform his or her duties as a director (including duties as a member of any committee of the board) in good faith, in a manner reasonably believed to be in the best interests of the corporation and with such care, including reasonable inquiry, skill and diligence that a person of ordinary prudence would use under similar circumstances. (2) Counsel, public accountants or other persons as to matters that the director reasonably believes to be within the professional or expert competence of such person. (3) A duly designated committee of the board, upon which the director does not serve, as to matters within its designated authority, which the director reasonably believes merit confidence. Section 6.03. Personal Liability of Directors. (2) The breach or failure to perform constitutes self-dealing, willful misconduct or recklessness. B. The provisions of paragraph (A) above shall not apply to a director’s responsibility or liability pursuant to any criminal statute or for the payment of local, state or federal taxes. Section 7.01. General Power. All officers of the corporation shall have such authority and perform such duties in the management of the property and affairs of the corporation as the board may determine or as may be provided in these Bylaws. Section 7.02. Number, Qualifications and Designation. The initial officers of the corporation shall be a President, a Secretary and a Treasurer. A director may hold one or more positions as an officer; however, all officers must also be members of the board. Section 7.03. Election and Term of Office. The officers of the corporation shall be elected by the board at the annual meeting. Each officer shall hold office for two years until the annual meeting at the end of his or her term and until a successor has been elected and qualified, or until his or her earlier death, resignation, or removal. Section 7.04. The President. The President shall preside at all meetings of the board. The President shall exercise general supervision over the activities and operations of the corporation and shall see that such affairs are conducted in accordance with the Articles of Incorporation, these Bylaws and the directions of the board. The President shall sign, execute, and acknowledge, in the name of the corporation deeds, mortgages, bonds, contracts or other instruments as authorized by the board, except in cases where the signing and execution thereof shall be expressly delegated by the board or by these Bylaws to some other officer or agent of the corporation. The President shall perform all duties incident to the office of President and such other duties as from time to time may be assigned by the board. Section 7.05. The Vice-President/President-Elect. The Vice-President/President-Elect is the successor to the President. In addition, the duties of the President will devolve upon the Vice-President/President-Elect, whenever the President is unable to carry on the duties of that office, whether for personal or professional reasons. Section 7.06. The Immediate Past President. The Immediate Past President serves as a continuing resource for the term of the sitting President. In addition, he or she may assume such duties as may be mutually-agreed with the President. Section 7.07. The Secretary. The Secretary shall attend all meetings of the board and shall record all votes. The Secretary shall maintain the minutes of board meetings, give timely notice, keep records and reports as required by law, serve as custodian of the corporate seal and see that it is affixed to all documents executed on behalf of the corporation under its seal. The Secretary shall perform all duties incident to the office of Secretary and such other duties as may from time to time be assigned by the board or the President. Section 7.08. The Treasurer. The Treasurer shall provide for the custody of the funds or other property of the corporation. The Treasurer shall monitor the corporation’s bank accounts, and depositories and shall render a periodic and annual account showing all transactions as Treasurer and the financial condition of the corporation. The Treasurer shall discharge such other duties as may from time to time be assigned by the board or the President. Section 7.09. Subordinate Officers, Committees and Agents. The board may elect such other officers and appoint such committees, employees or other agents as the business of the corporation may require, who shall hold office, have authority and perform such duties as the board may determine. The board may delegate the power to elect subordinate officers and to retain or appoint employees, agents or committees thereof, and to prescribe their authority and duties. Section 7.10. Resignations. Any officer or agent may resign at any time by giving written notice to the board or to the Secretary. The resignation shall be effective upon receipt or at any later time specified therein. Acceptance of the resignation shall not be necessary to make it effective. Section 7.11. Removal. Any officer or other agent of the corporation may be removed, either for or without cause, by the board whenever, in its judgment, the best interests of the corporation will be served thereby. Such removal shall be without prejudice to the contract rights of any person so removed. Section 7.12. Vacancies. A vacancy in any office because of death, resignation, removal, disqualification or any other cause shall be filled by the board for the unexpired portion of the term. Section 8.01. Board of Visitors. The board may, as it deems appropriate, establish a Board of Visitors that will consist of stakeholders who have an interest in industry studies. The members of the Board of Visitors shall serve without vote and in an advisory capacity. Section 9.01. Executive Director. The Executive Director reports to the Board of Directors, of which he or she will serve as an ex officio member. He or she administers the day-to-day affairs of the ISA, and supervises any employees and directs any contractors of the ISA as they perform the responsibilities set forth in the following sections of this article. Section 9.02. Records. The Executive Director shall assist the Secretary in maintaining all records of the ISA, including the minutes of board meetings as prepared by the ISA Secretary and approved by the board. Section 9.03. Correspondence. The Executive Director shall conduct the correspondence of the ISA. Section 9.04. Membership List. The Executive Director shall keep a correct list of all members in good standing. Section 9.05. Conference Arrangements. The Executive Director shall be responsible for the arrangements for the annual conference, as delegated and approved by the ISCC (see Article IX). The Executive Director shall also be responsible for the arrangements for annual and regular meetings of the board of directors, and the annual meeting of the members, and any special meetings of the board or ISA members. Section 9.06. Billing. The Executive Director shall be responsible for billing and collecting all dues, special assessments and other items of income. Section 9.07. Custody. The Executive Director shall assist the Treasurer in maintaining custody of all funds of the Conference and depositing or investing said funds as directed by the board. Section 9.08. Budgeting. The Executive Director shall keep full and accurate records of all receipts and investments in books belonging to the ISA. The Executive Director shall submit an annual budget for approval by the board prior to the start of each fiscal year, and a closing financial statement following the end of each fiscal year. The budget and closing statement shall be reviewed and revised by the Treasurer prior to submission. Section 9.09. Other Reports. The Executive Director shall prepare special financial reports in the same manner when requested by the President. Section 9.10. Projects. The Executive Director shall execute and administer such projects as the board may delegate. Section 9.11. Auditing. The Executive Director shall assist the Treasurer and Audit Committee in having the accounts of the ISA independently audited in a timely manner, insofar as required by statute, and circulate the auditor's report to the Treasurer and board. of such committees need not be members of the board. There shall, however, be at least one member of the board on each committee. d) Action on matters reserved by the Bylaws or resolution to another committee of the board. Section 10.03. Audit Committee. The Audit Committee shall be a standing committee. The Audit Committee shall review and monitor ISA’s financial statements and audits and shall serve as liaison with ISA’s independent auditors. The members of this committee shall possess the necessary competencies to effectively review and monitor such financial matters. Section 10.04. Nominating Committee. The Nominating Committee shall be a standing committee. The Nominating Committee shall consider candidates for the board, taking into consideration the diversity of ISA membership, including such factors as the membership’s disciplinary mix, geographical distribution, Industry Center affiliation and/or gender composition with the objective of promoting appropriate diversity and breadth of vision on the board. The Nominating Committee shall propose a slate of candidates, which shall then be circulated by regular post or by email for vote by the membership. Section 10.05. The Industry Studies Conference Committee (ISCC). A. Function. The ISCC shall serve as the long term planning body for the ISA conferences, organized to support the development of industry studies as a multi-disciplinary field of academic research. ISCC shall consist of a rotating leadership group of not less than three members. B. Conference. ISCC shall provide general oversight to maintain the continuity and traditions of ISA conferences, which shall be convened on a regular and periodic basis. This oversight shall include responsibility, in consultation with the nominating committee for nominating program chair (or co-chair) candidates, subject to the advice and approval of the board as well as election by the general membership, should the board so determine. C. Policies and Protocols. ISCC shall be responsible for preparing and implementing a detailed set of policies to guide the Conference and defining appropriate responsibilities for the program chair(s) and any other conference leadership positions,. These policies shall be known as the Conference Protocols. D. Conference Site Selection. ISCC shall be responsible for identifying and recommending Conference sites for board approval. ISCC shall ultimately be responsible for preparing and submitting for board ratification a detailed set of policies to guide the Conference site selection process, including but not limited to a Request for Proposals (RFP) setting forth criteria for candidate institutions or cities that may wish to bid for the right to host the conference. Section 10.05. Ad Hoc Committees. The board may, in its discretion and from time to time, establish such other committees as it may determine. All committees shall serve at the pleasure of the board. Section 11.01. Notice. Whenever written notice is required, it may be given in person or by sending a copy by first-class or express mail, postage prepaid; or by telegram, charges prepaid; or by messenger service, charges prepaid; or by facsimile transmission (“FAX”) or electronic mail (“e-mail”) to the address supplied to the corporation for the purpose of notice. If the notice is sent by mail, telegram or messenger, it shall be deemed given when deposited in the United States mail or with a telegram or messenger service for delivery. If sent by FAX or e-mail, it shall be deemed given when dispatched. The notice shall specify the place, day and hour of the meeting and any other information required by statute or these Bylaws. Section 11.02. Written Waiver. Whenever written notice is required to be given, a waiver in writing, signed by the person or persons entitled to the notice, whether before or after the time stated therein, shall be deemed equivalent to the giving of such notice. Section 11.03. Waiver by Attendance. Attendance at a meeting shall constitute a waiver of notice of such meeting, unless the person attends for the express purpose of objecting, at the beginning of the meeting, to the transaction of any business on the grounds that the meeting was not lawfully called or convened. Section 11.04. Modification of Proposal Contained in Notice. Whenever the language of a proposed resolution is included in a written notice of a meeting, the meeting considering that resolution may adopt it with clarifications or other amendments provided they do not enlarge its original purpose. Section 12.01. Indemnification in Third Party Proceedings. ISA shall indemnify any person who was or is a party or is threatened to be made a party to any threatened, pending or completed action, suit or proceeding, whether civil, criminal, administrative or investigative (other than an action by or in the right of the corporation) by reason of the fact that he or she is or was a representative of the corporation, or is or was serving at the request of the corporation as a representative of another corporation for-profit or nonprofit, partnership, joint venture, trust or other enterprise, against expenses (including attorneys' fees), judgments, fines and amounts paid in settlement actually and reasonably incurred by him or her in connection with such action, suit or proceeding, if he or she acted in good faith and in a manner reasonably believed to be in, or not opposed to, the best interests of the corporation, and, with respect to any criminal action or proceeding, had no reasonable cause to believe his or her conduct was unlawful. The termination of any action, suit or proceeding by judgment, order, settlement, conviction, or upon a plea of nolo contendere, or its equivalent, shall not of itself create a presumption that the person did not act in good faith and in a manner which he or she reasonably believed to be in, or not opposed to, the best interests of the corporation, and, with respect to any criminal action or proceeding, had reasonable cause to believe that his or her conduct was unlawful. reasonably entitled to indemnity for such expenses which the court shall deem proper. Section 12.03. Mandatory Indemnification. To the extent that a representative of the corporation has been successful on the merits or otherwise in defense of any action, suit or proceeding referred to in Sections 12.01 or 12.02 above, that representative shall be indemnified against expenses (including attorneys' fees) actually and reasonably incurred in connection therewith. Section 12.04. Determination of Entitlement to Indemnification. Unless ordered by a court, any indemnification under Sections 12.01 or 12.02 above shall be made by the corporation only as authorized in the specific case upon determination that indemnification of the representative is proper in the circumstances because he or she has met the applicable standard of conduct set forth in those sections. The determination shall be made:(1) by the board by vote of directors who were not parties to the action, suit or proceeding; or (2) by independent legal counsel in a written opinion, if a quorum is not obtainable. Section 12.05. Advancing Expenses. Expenses (including attorneys’ fees) incurred in defending any action or proceeding referred to in Sections 12.01 and 12.02 above may be paid by the corporation in advance of the final disposition of the action, if authorized by the board in a specific case upon receipt of an undertaking by or on behalf of the representative to repay the amount advanced if it is ultimately determined that he or she is not entitled to be indemnified by the corporation. Section 12.06. Insurance. ISA shall have the power to purchase and maintain insurance on behalf of any person who is or was a representative of the corporation or is or was serving at the request of the corporation as a representative of another corporation for-profit or nonprofit, partnership, joint venture, trust or other enterprise against any liability asserted against him or her and incurred by him or her, in any capacity or arising out of that person's status, whether or not the corporation would otherwise have the power under this Article to indemnify him or her against that liability. Section 12.07. Reliance on Provisions. Each person who shall act as an authorized representative of the corporation shall be deemed to be doing so in reliance upon the rights of indemnification provided by this Article. Section 13.01. Robert’s Rules of Order. The current edition of Robert’s Rules of Order shall be the authority on all questions of parliamentary procedure, unless they are in conflict with the Articles of Incorporation, these Bylaws or statutory law. Section 13.02. Corporate Seal. ISA shall have a corporate seal. Section 13.03. Checks. All checks, notes, bills of exchange or other orders in writing shall be signed by such person or persons as the board may from time to time designate. Section 13.04. Contracts. Except as otherwise provided in these Bylaws, the board may authorize any officer or agent to enter into any contract or to execute or deliver any instrument on behalf of the corporation. Such authority may be general or confined to specific instances. Section 13.05. Deposits. All funds of the corporation shall be deposited in such banks, trust companies, or other depositories as the board may approve or designate. Such funds shall be withdrawn only upon checks signed by such one or more officers or employees, as the board shall designate. (1) The assets and liabilities of the corporation as of the end of the fiscal year immediately preceding the date of the report. (2) The principal changes in assets and liabilities during the year immediately preceding the date of the report. (3) The revenue or receipts of the corporation for the year immediately preceding the date of the report, including separate data with respect to each fund, if any, held by or for the corporation. (4) The expenses or disbursements of the corporation, for both general and restricted purposes, during the year immediately preceding the date of the report, including separate data with respect to each fund held by or for the corporation. The annual report of the board shall be filed with the minutes of the Annual Meeting of the board. Section 13.07. Interpretation. Whenever the context may require, any pronouns used herein shall include the corresponding masculine, feminine or neuter forms, and the singular form of nouns and pronouns shall include the plural and vice versa. petition the board with respect to the proposed amendment. Any petition shall have the support of at least ten percent (10%) of the full membership. The board shall, however, retain full authority to approve amendments to the Bylaws. Section 14.02. Fundamental Change. The Articles of Incorporation or any other Fundamental Change pursuant to Chapter 59 of the Pennsylvania Nonprofit Corporation Law may be amended solely by action of the members. The board shall direct that the proposed amendment be submitted to a vote of the members entitled to vote thereon, and written notice of the proposed action and the recommendation of the board shall be given by e-mail to all members with vote not less than ten days before the vote, which may be in person, by mail or by e-mail, as the board shall determine consistent with the notice provisions in Article XI above. © Copyright 2018 Industry Studies Association . All rights reserved.